Carry your essentials in superhero style with products from our Bags and Purses category here at Superheroes Direct. Pick the right bag for the job from our variety of sizes and shapes, including tote bags, purses, and handbags. Our fashionable purses are great for showing off your love for your favorite character, video game, or movie as part of your day-to-day style, while our versatile comic tote bags are perfect for a variety of uses, like carrying groceries, books, laundry, beach supplies, and more. Messenger bags are great for slinging schoolbooks or laptops over your shoulder, while our superhero handbags can come in handy for securely storing smaller essentials. 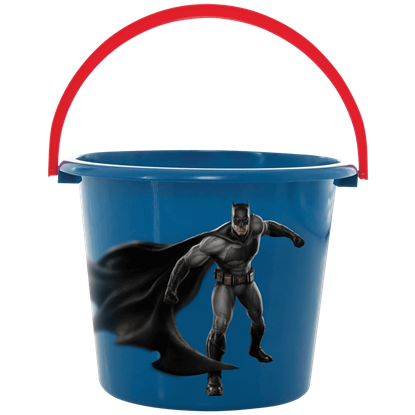 There is no better place for the young Star Wars fan to store their Halloween sweets than in the Darth Vader Trick-or-Treat Pail. 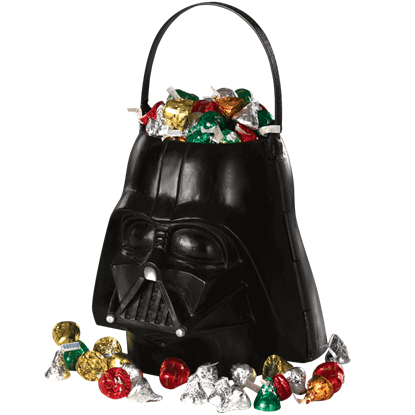 No ordinary candy container or bag should accompany a dark Jedi on the spookiest night of the year. On one side stands Captain America, protector of freedom. On the other stands Iron Man, defender of justice. 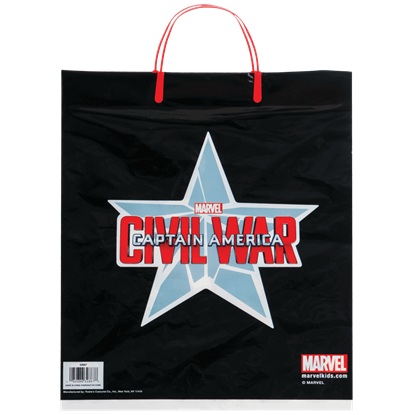 With powerful graphics on both sides, the Marvel Civil War Canvas Tote Bag is inspired by the Captain America Civil War film. Let your little ones show off their love for Marvel while collecting their candy this Halloween. 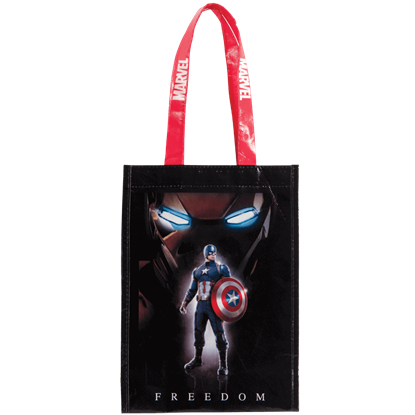 Officially licensed, the Marvel Civil War Trick-or-Treat Bag features graphics inspired by the Captain America Civil War movie. Thats no moon! The Death Star is a moon-sized deep space mobile battle station in the Star Wars universe. 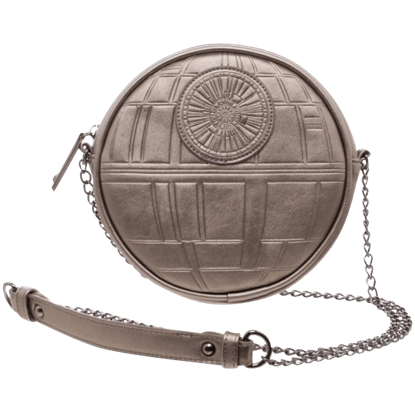 Now you can wear a miniature version with this Rogue One Death Star Crossbody Purse, which will keep your essentials at hand. With the Star Wars The Empire Strikes Back Tote Bag, your belongings will be snugger than a Jedi in a tauntaun. 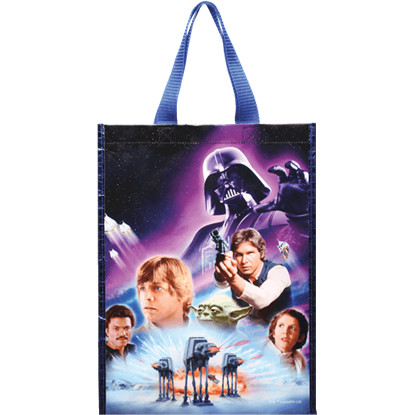 This bag is spacious, easy to carry, and features a beautiful collection of imagery from The Empire Strikes Back. 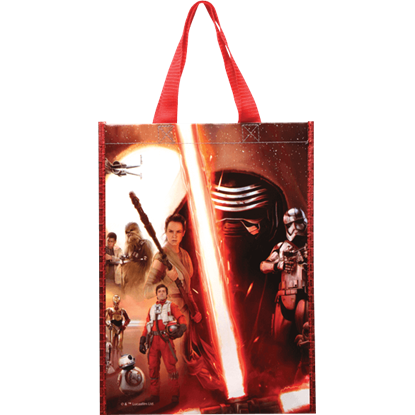 You can carry home all your treasures when you scavenge the sands of Jakku with the Star Wars The Force Awakens Tote Bag. This bag is spacious, easy to carry, and features a beautiful collection of imagery from The Force Awakens. Complete the mission to gather candy and foil the plans of tricksters with the proper gear. 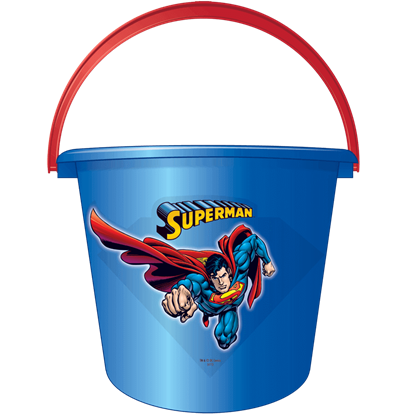 Do not allow your favorite superhero to head out this Halloween without the Superman Trick-or-Treat Pail to assist in the noble pursuit. 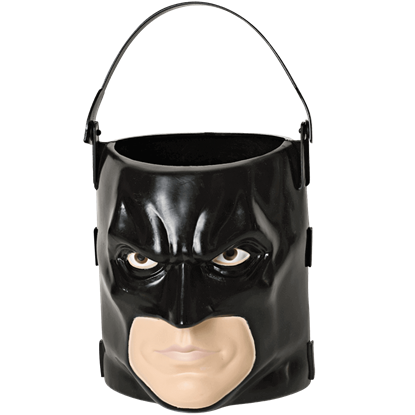 Outsmart a neighborly prankster and collect your favorite sweets with The Dark Knight Rises Trick-or-Treat Pail. 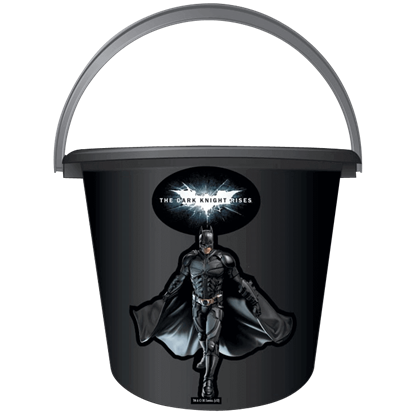 The experienced superhero will find this bucket useful for gathering candy and dishing out justice this Hallows Eve. Hailing from Paradise Island, also known as Themyscira, Wonder Woman is one of the most iconic DC superheroes. 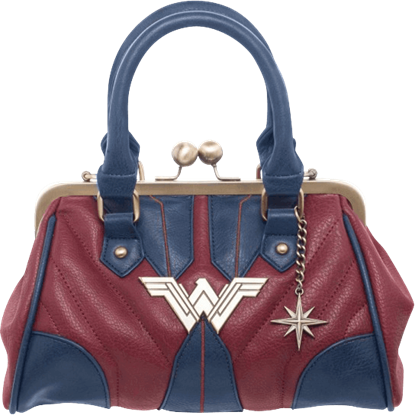 Being a princess, it would make sense for her to have an elegant handbag at home, one like this Wonder Woman Handbag!